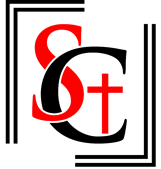 Saint Columban Church as part of the Diocese of Orange is a sacramental, multicultural community, united through prayer, faith sharing and action.Our parishioners strive to live the gospel of Jesus Christ and the expression of His love and grace. Using our gifts of time, talent and treasure, we endeavor to meet the needs of all with special sensitivity to the poor. 8:00 pm English/Spanish Mass of the Lord’s Supper Procession to Murphy Hall.